Today is World Health Day, and the anniversary of the founding of the World Health Organization. 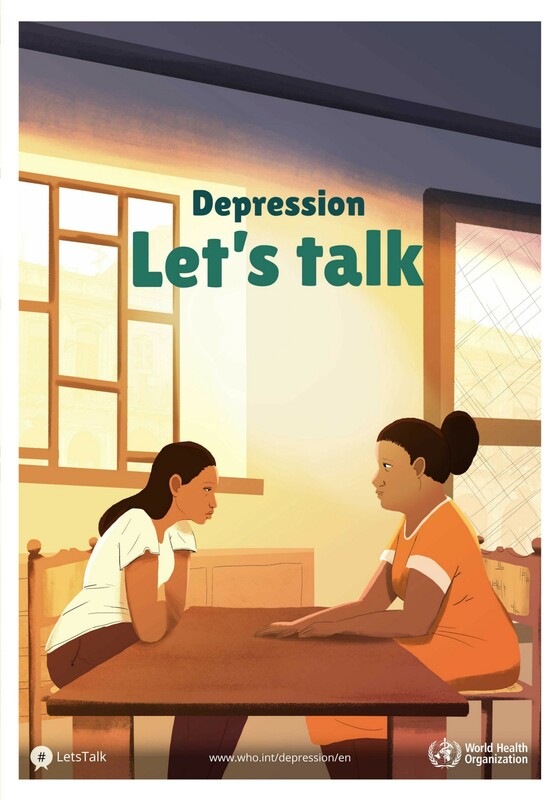 As a physician and entrepreneur in mental health, I commend the WHO for dedicating this year’s World Health Day to depression with their campaign titled Depression: Let’s Talk. If you are not familiar with the campaign, which began in October 2016, you can find information here. In the United States, one in five adults struggles with their emotional or mental health each year. Worldwide, where the picture is even more grim, the WHO estimates that more than 300 million people are now living with depression, an increase of more than 18% between 2005 and 2015. While these statistics may seem discouraging, I am equal parts frustrated and motivated. Because challenge creates opportunity and in the spirit of talking about depression, I will choose to focus on the positive. We truly have an opportunity unlike any generation in history to make major strides in treating depression. Never before have we had the current combination of technology and human talent at our disposal. That alone is a reason to be optimistic. But it starts with raising our voices. So, as the WHO campaign urges us, let’s talk. 1. With Family and Friends: If depression has affected you, don’t be afraid to talk about your experience with family and friends. Lead with example and show your loved ones that it is common to experience depression, and that there are treatments that can truly help overcome the condition. 2. On Social Media: Use the hashtag #LetsTalk to share your experiences online. If we want to truly get rid of stigma associated with depression and mental illness, then we need to get comfortable with the fact that depression is normal. It can affect anyone and is nothing to be ashamed of. Help the World Health Organization by participating in their social campaign today. 3. At Work: Suggest to your marketing and communications department to make mental health part of your organization’s corporate social responsibility (CSR) strategy. There are many ways to contribute, including walks, fundraisers, and fun team-building activities that support mental health. Add one to your strategic plan and get your colleagues involved. Just remember, it is OK to not be OK. Depression affects us all — let’s start by talking about it. As Chief Medical Officer of AbleTo, Dr. Pande a serves as a passionate voice for the need to bridge the gaps between medical health and behavioral health. She also spearheads AbleTo’s analytics and outcomes research. Prior to her work at AbleTo, Dr. Pande was an Instructor at Harvard Medical School. Reena Pande earned her undergraduate degree in Biology from Harvard University, her M.D. from Harvard Medical School, and a Masters degree in Epidemiology from the Harvard School of Public Health. She completed her internship, residency training, and fellowship in Cardiovascular Disease and Vascular Medicine at Brigham and Women’s Hospital.